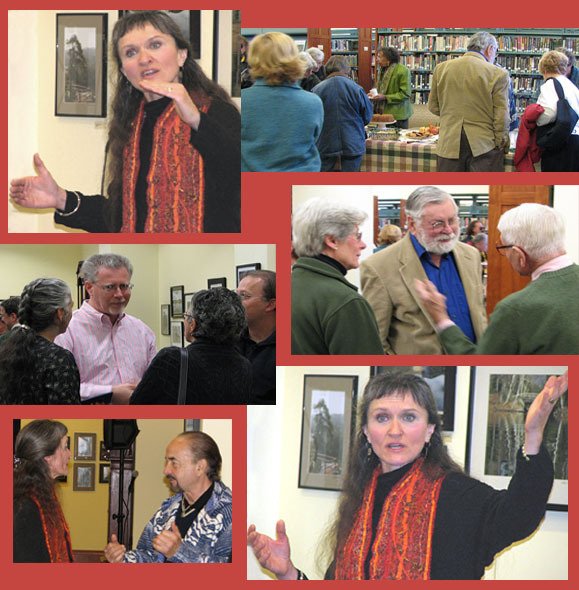 Standing in the great hall of the Millbrook Free Library, amidst friends, family and community members on November 19, 2006, Lorraine Hartin-Gelardi launched her new book, WISDOM IN THE TELLING: Finding Inspiration and Grace in Traditional Folktales and Myths Retold. “This is a fitting place to celebrate the publication of my first book. Here, amidst so many good friends, in a place that has been very special to me, in a community that has nurtured me,” began Lorraine Hartin-Gelardi in her program entitled From the Stage to the Page. 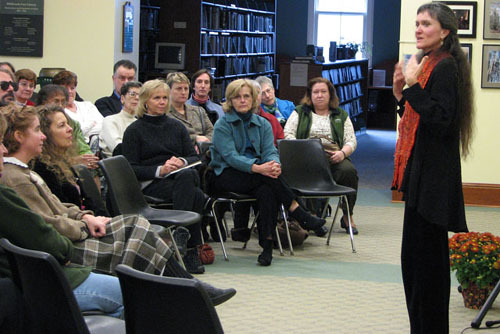 In addition to tales from her book (“The Squire’s Party” and “Stones and Treasures”), Lorraine related the story of how her book came into being. She explained the challenges of recording the oral tradition through the written word, talked about the role of imagination in storytelling and writing, and answered questions from the listeners. A reception and book signing followed. Click here to buy a copy of this book. If you've read this book, click here to send a comment to Lorraine.